Requirements for Diminished Value Crash Claims in Florida | DeLoach, Hofstra & Cavonis, P.A. As a Florida driver, you know how important it is to carry an adequate amount of car insurance. It's required by law, and buying the best coverage you can afford will also help you get medical care and insurance payments for property damage after an accident. Unfortunately, there are some situations in which insurance won't be enough to cover your losses after a crash. For instance, if you were struck while driving your brand-new car, the car will now have an accident history. Even if the repairs are excellent and the car still looks brand-new, it was involved in a collision, which can take thousands of dollars off of the resale value. In these cases, a diminished value claim can help drivers collect the difference between the original price and post-accident price of their vehicles. Florida law allows drivers to recover the difference between a car’s pre-crash value and its value after repairs from an insurer. Our attorneys only represent clients in diminished value claims when handling a car accident claim that has caused personal injuries. Fault. In Florida, you can only seek compensation for diminished value from an at-fault driver's insurance company. If you are found to be at fault for the accident, you won't be able to pursue a diminished value claim against your policy. Time limits. Florida drivers have four years from the date of accident to file a diminished value claim against an at-fault driver. Appraisals. You'll need an accurate appraisal of the car’s value both before the accident and after the repairs have been done. An experienced appraiser uses a variety of metrics to determine the amount of value a vehicle has lost, including an analysis of the auto market in your area, inspection of the collision damage, and thorough knowledge of how damage history affects auto depreciation. Since most used cars are sold to dealers, it's helpful to obtain a trade-in value letter from several car dealers with an estimate of the value of your car. The dealership should also state the reasons why your car is valued at that trade-in price, drawing a clear line from an accident history to a lower retail value. Evidence. There are many ways to prove the loss in value of your vehicle. For example, if the repairs didn't restore the car to its exact condition before the crash, you must show adequate evidence to support this, such as copies of work orders outlining which parts were used and how they affect a car’s performance. If the car doesn't look the same, you should have photos of mismatched paint, gaps in seals, and other aesthetic differences. 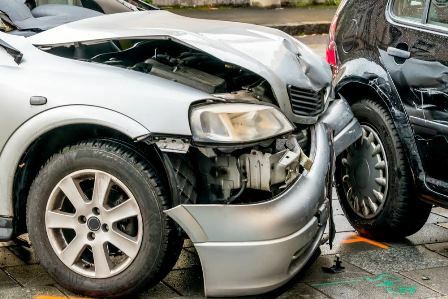 Insurance companies often fight car accident claims, denying a driver’s right to recover for their injuries or lowballing the amount of equity that has been lost. If our attorneys are handling your personal injury claim, we can inspect vehicles, review your repair documents, draft demand letters to insurance companies, and fight for your rights in court. Let us maximize the value of your car wreck claim and deal with the insurance company on your behalf. If you have been injured in a wreck and concerned about getting fair compensation for your injuries and the damage done to your vehicle, contact us today for an evaluation of your car accident case.